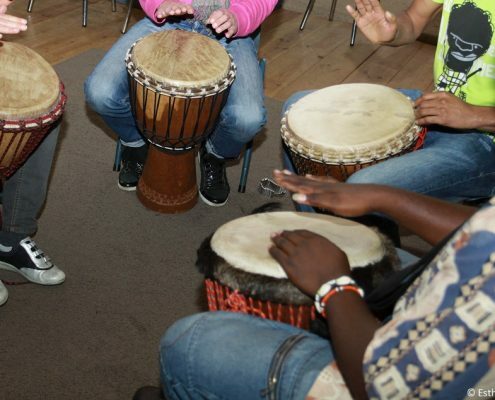 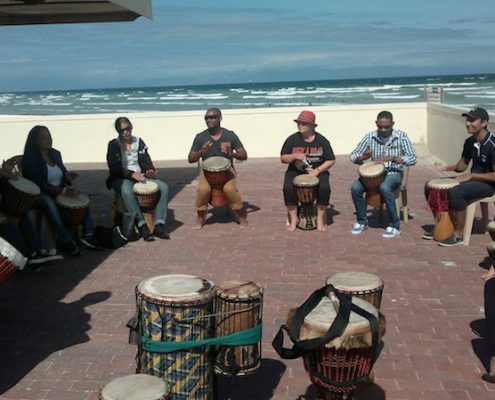 In the interactive drumming workshop every participant will receive a djembé drum to play. 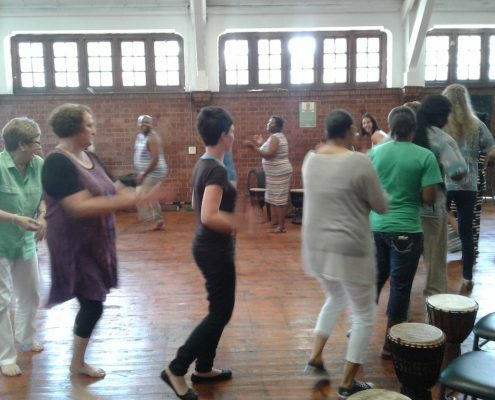 Our drum facilitation team will lead the group into collective music making, playing West- and Southern African drumming rhythms, dances and songs. 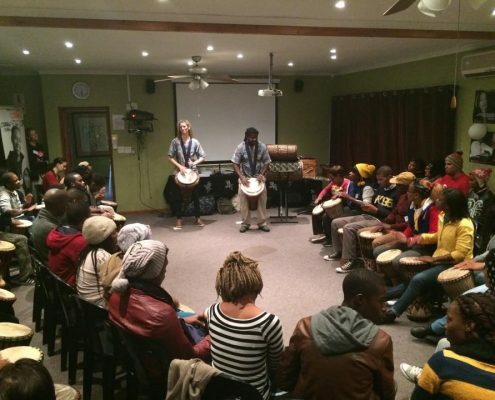 Our interactive drumming workshop provides educative entertainment at your conference, team building event or birthday party. 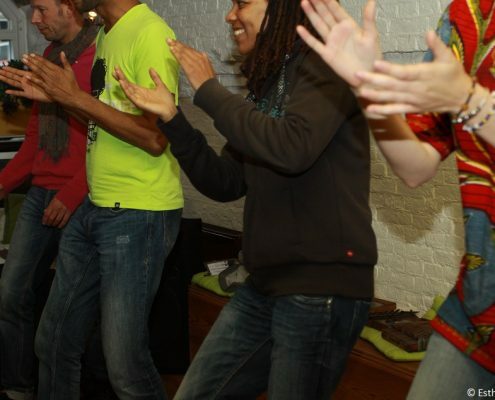 Our workshops are suitable for children and adults. 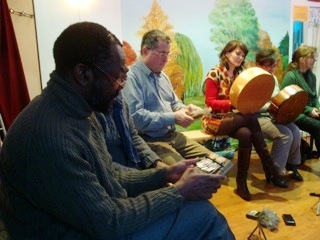 Participants do not require any music playing experience. 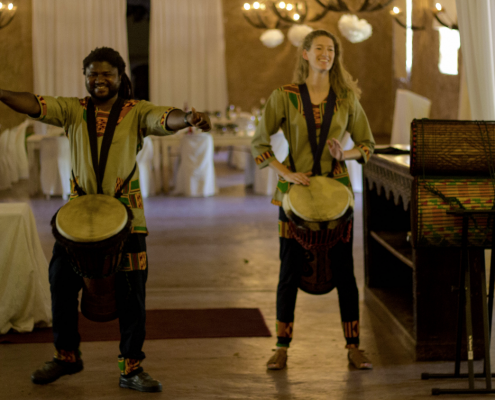 Are you ready for musical fun with your friends, colleagues and family? 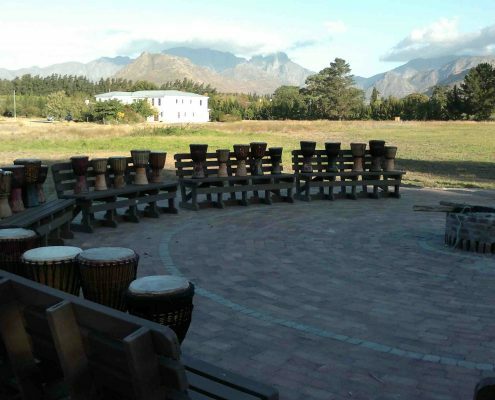 Contact us for more information about the possibilities.